Gmail for Android is now updated with a couple of new features. 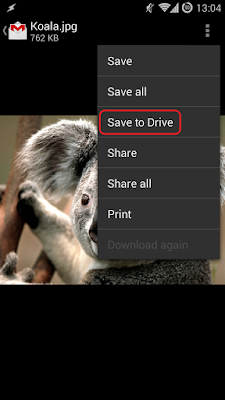 The app now has the much needed Save to Drive button that automatically uploads the attachments to your Google Drive. The announcement comes with+Gmail on Google+.